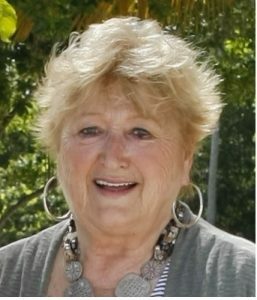 Sibylle Ruth "Cyd" Mittelsdorf Trofholz, 76, of Schuyler, died Thursday, November 17, 2016, at CHI Lakeside Hospital in Omaha. Visitation Friday from 9-11:00 A.M.
A complete obituary will be available on Saturday, November 19th. Sibylle Ruth "Cyd" Trofholz, was born February 4, 1940, in Breslau, Germany, to Gerhardt and Barbara(Muller) Mittelsdorf. Gerhardt died while Cyd was an infant and the father she knew throughout her life was Ernst Freitag. Her family moved to the United States where Cyd attended schools in Schuyler and graduated from Schuyler High School in 1958. She married Keith Moore in 1959 and they had three children. On November 14, 1995, she married Leroy Trofholz, who filled her life with great happiness and joy. Cyd worked as a legal secretary to Ed Asche and George McNally and was later employed as an underwriter for Farmers Mutual Insurance. Cyd enjoyed gardening, had a love of flowers, quilting, traveling and was an avid card player. She is survived by her two sons;Curtis(Jennifer) Moore, Fremont and Craig(Monica) Moore of San Antonio, Texas, four siblings; Joseph(Alice) Mittelsdorf, Fred(Mickey) Freitag, Monika Seeba and Martina Hendrix, 8 grandchildren;Nicolas(Tia) Baker, Morgan(Nate) Moore, James Curtis Moore, Parker Vivi'anne Moore, Sam Moore, Lindsey, Allison and Natalie Thornton and two great-grandchildren, Gabriel Baker and Grayson Sheets. Cyd was preceded in death by her infant daughter, Kelly, husband, Leroy Trofholz, parents, sister Ursula Gardner and niece Laura Gardner.